2. Mix margarine, honey, mustard and onion powder in a large bowl. Set aside. 3. 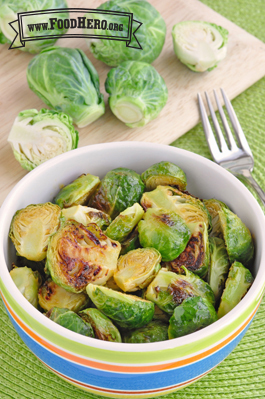 Spread sprouts on baking pan and roast for 10 to 15 minutes or until tender. 4. Add roasted sprouts to the mustard mixture and stir until evenly coated. Serve warm.